At this point in the evolution of IoT and the smart home, it has become abundantly clear that when it comes to managing our smart devices, we have too many apps—way too many. As any semi-serious enthusiast can tell you, once you start down the smart home path, your smartphone real estate will quickly fill up with discrete apps for managing each of the devices you adopt. While a few of these apps are truly useful, we’ve really lost the forest for the trees (as so often happens with the introduction of new technology). 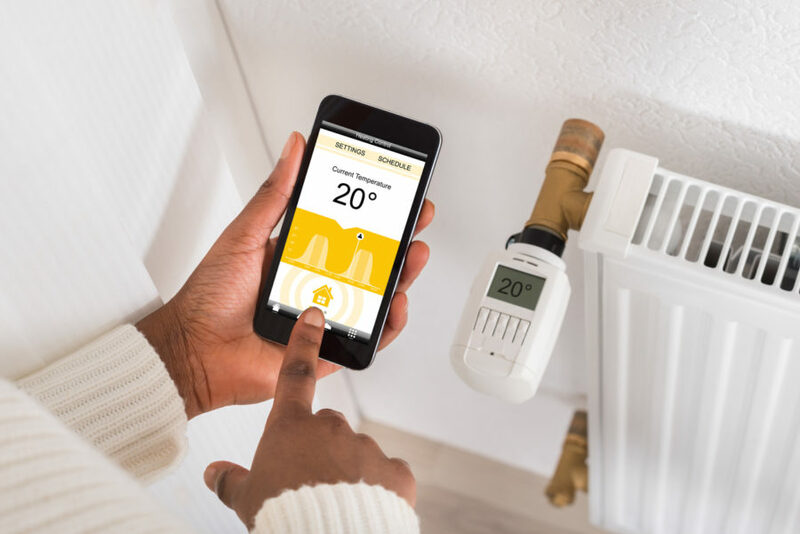 In an effort to provide convenience and utility, we are achieving quite the opposite by inundating consumers with an avalanche of bewildering apps that have left many feeling cold toward the smart home. So, with the exception of a few apps that have added value to our daily lives, our new mantra is, there’s NO app for that. If the point of having a smart home is convenience, efficiency, safety and well being, then it’s a pretty quick conclusion that the propensity of devices will lean heavily toward sensors rather than actuators. Sensors monitor our complex environment and tell us when something’s not as it should be. As such, most of the time, they have absolutely nothing to report—there’s value in not hearing from them. We predict that of the dozens—and maybe eventually hundreds—of devices in one’s home, 90 percent will be sensors, for which a mobile app is likely overkill. It’s fine to get a simple text message that you left your garage door open; you don’t need three years of analytics on what time you opened and closed it every day. Actuating devices are another matter. If you’re initiating an action like unlocking your door or turning on your lights, then presumably you need an app of some sort. Of course, emerging voice services like Alexa and Google Home are going after the same problem. That said, it’s hard to escape the feeling that even voice is a stopgap for many situations. Shouldn’t a truly smart home anticipate your desires and carry them out automatically, thereby further weaning you from your phone? For example, many of us now manage our home’s environment with smart thermostats that learn our preferences and set them automatically with no additional direct input. If we could synthesize this perspective into some advice for product manufacturers, it would be this: Remember that, as cool and useful as your device or app may be, it doesn’t exist in a silo. It is, in fact, part of a system of devices called the smart home. If that system is unusable, then your product will suffer commensurately; if a rising tide floats all boats, then an ebbing one has the opposite effect. So for your next product, start by considering how your device fits into your customer’s overall smart home and how much value your device can deliver sans mobile app. Or perhaps make the app an opt-in for a higher grade of features. Sometimes, less really is more.